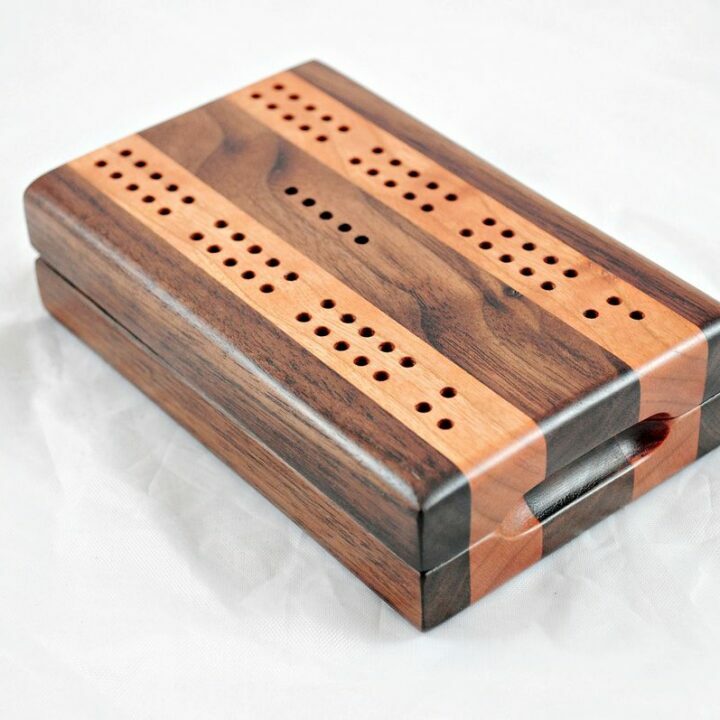 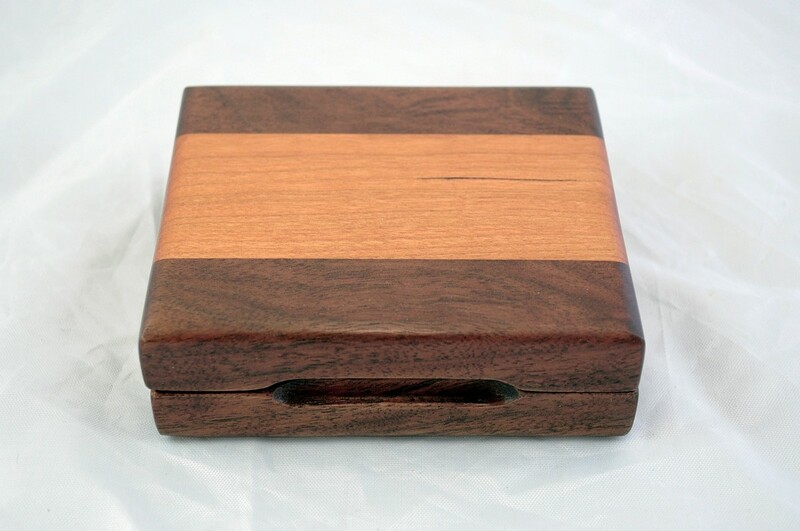 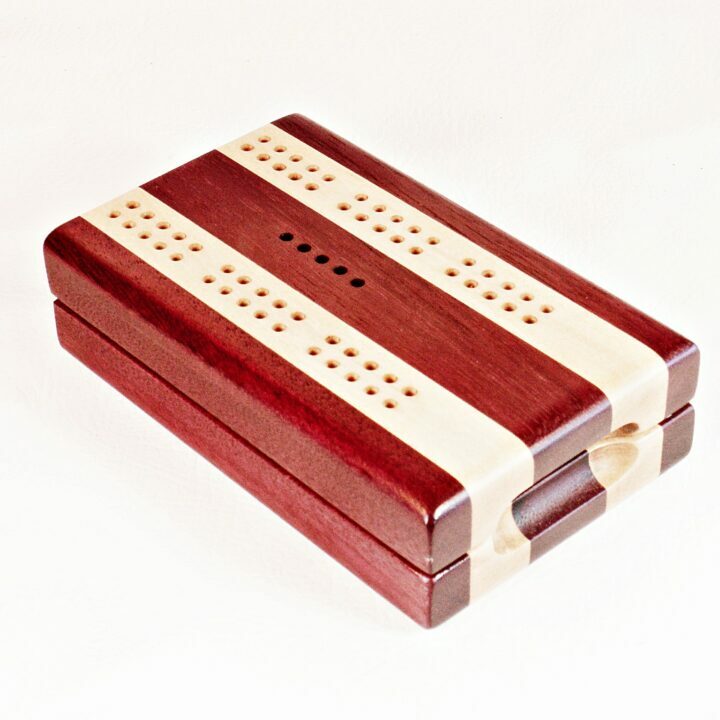 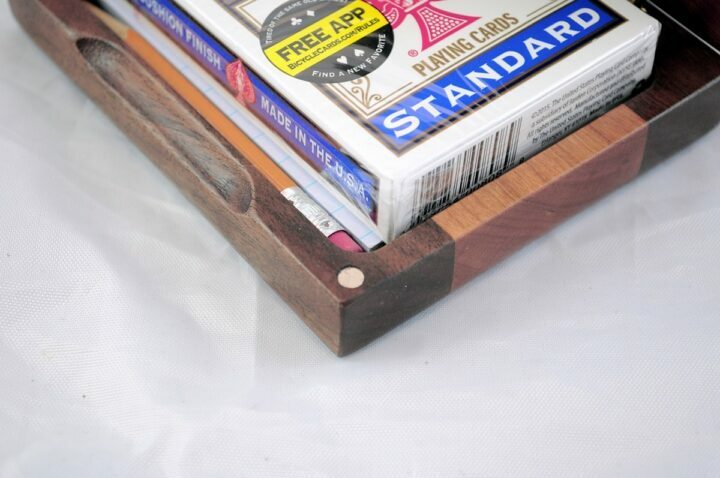 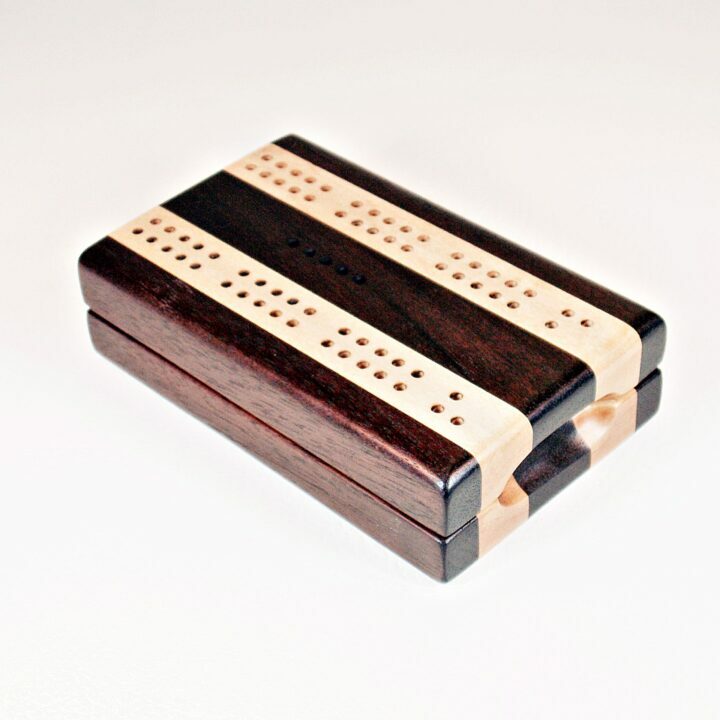 This solid wood playing card case is great for travel. 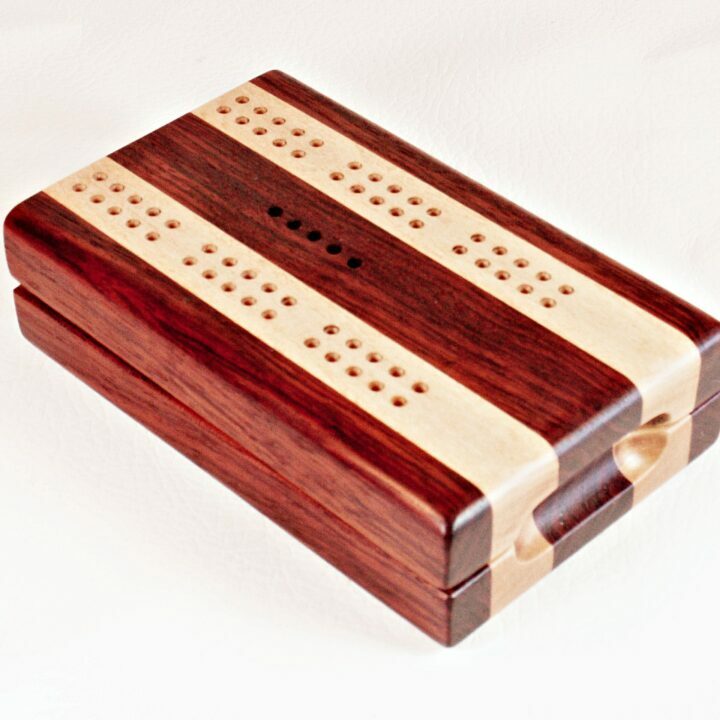 I use 2 species of wood in their natural color (no stain), that have an interesting contrast. The brass barrel hinges are hidden and fold inside the box so they are not seen when the box is closed. 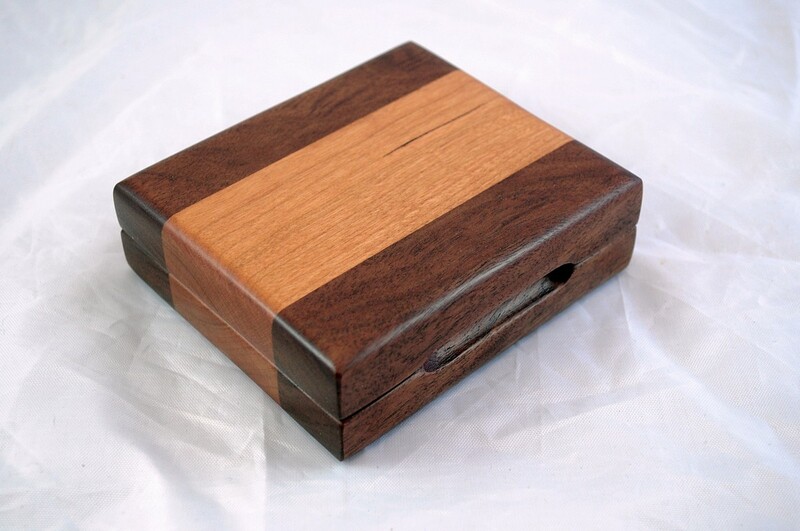 Rare earth magnets solidly hold the box closed to keep the contents inside. 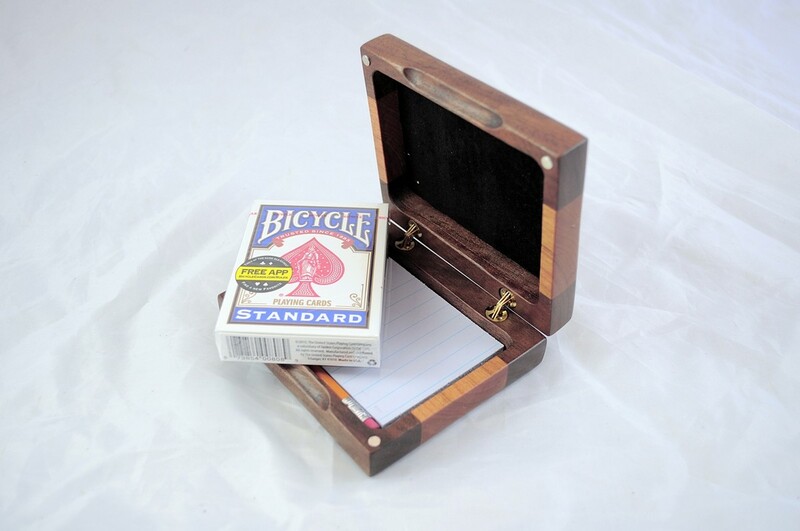 Simply open it with your finger in the notches and pull open. 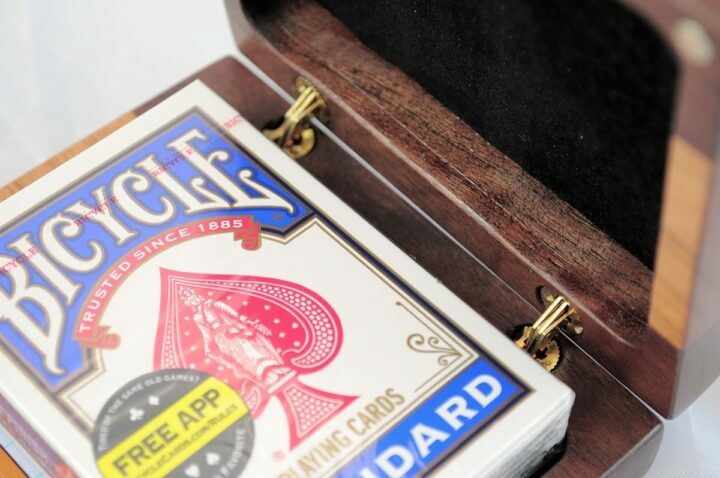 Each case is an original, one of a kind. 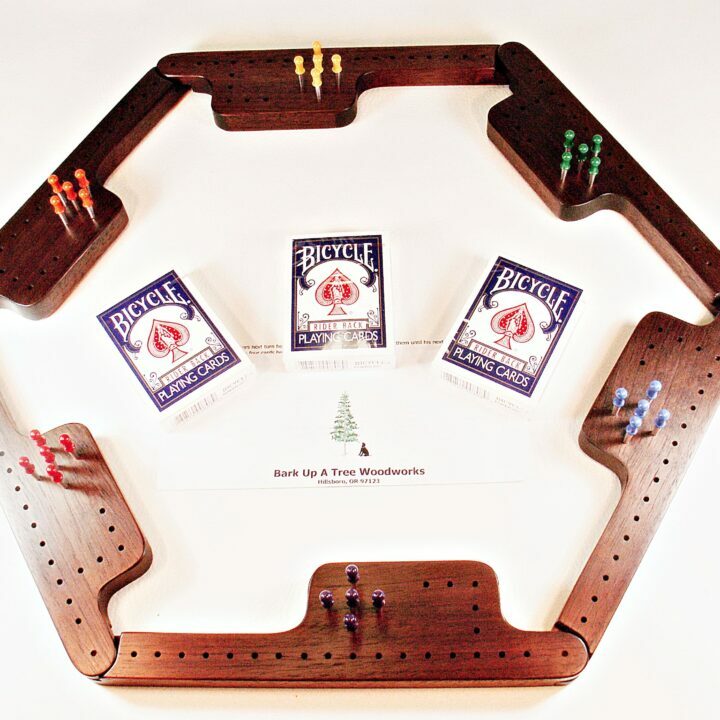 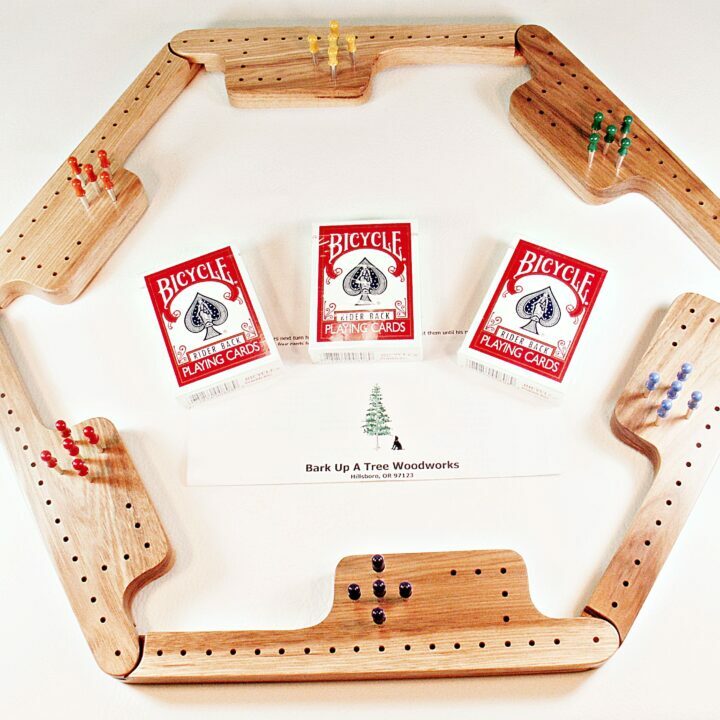 The case comes with a pack of Bicycle 808 cards, pad, and pencil ready to keep score of your favorite game. 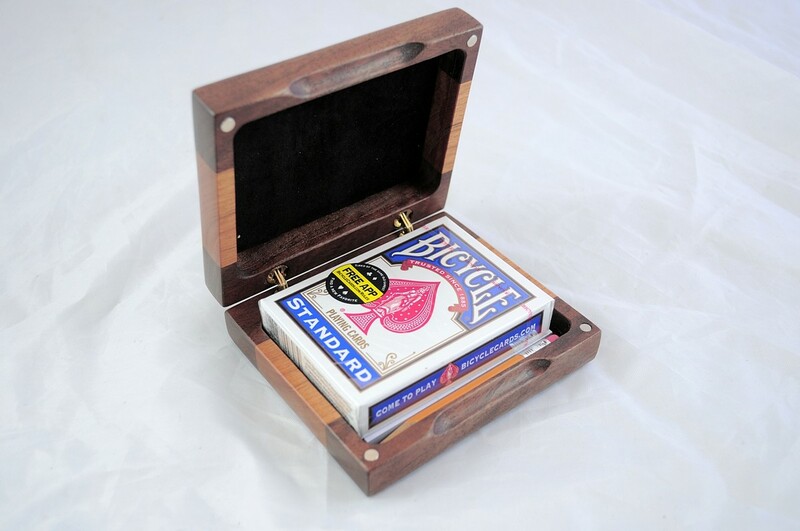 Have playing cards, will travel!